Consider choosing a plan that includes the Atrium Health (formerly Carolinas HealthCare System) doctors and hospitals you trust. Open Enrollment for individual health insurance coverage – the period of time when you can sign up for a new health insurance plan sold on the Individual Health Insurance Marketplace, or make changes to your current individual plan for 2019 runs from Nov. 1 - Dec. 15, 2018. As a trusted healthcare system caring for our communities, we can help answer questions and make the process easier. Plans sold on the Individual Health Insurance Marketplace in North Carolina and South Carolina vary by county. What Plans Include Atrium Health in Network? 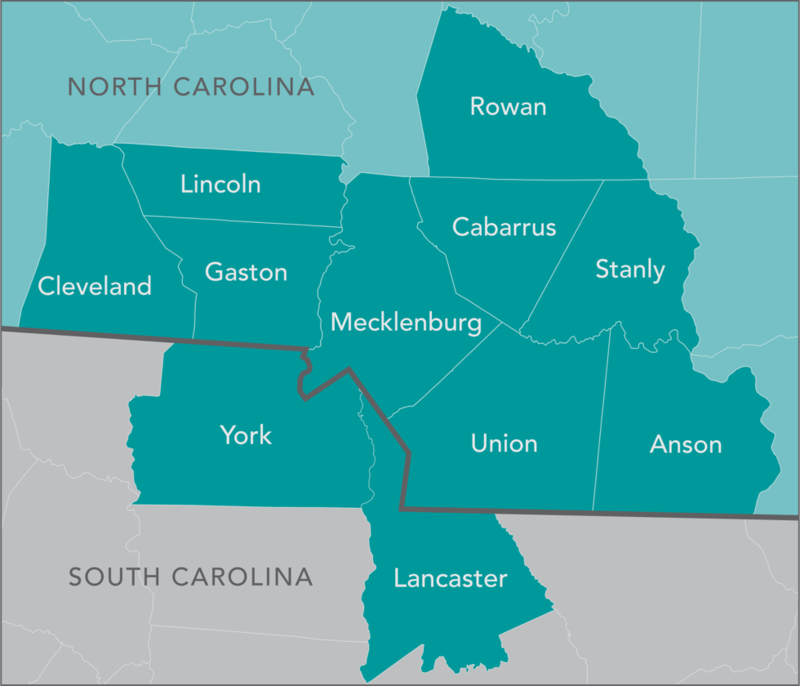 Important: In Cleveland, Gaston, and Lincoln counties, Blue Cross and Blue Shield of North Carolina (BCBSNC) will not offer Blue Advantage or Blue Select plans for 2019 on the Marketplace. If you had one of these plans in 2018 and do not take any action during the Open Enrollment period, BCBSNC says it will automatically enroll you in the Blue Value plan, which does NOT include Atrium Health doctors and hospitals. That means you will have to pay higher out-of-pocket costs to get care from us. Blue Value health insurance plans do NOT include Atrium Health doctors and hospitals. View a complete list of plans by county, including those that allow you to pay less out of pocket when getting care from Atrium Health doctors and hospitals. If you have a medical emergency you should go to the closest hospital emergency room. Atrium Health hospitals provide services to all patients seeking treatment for an emergency medical condition, regardless of their health insurance plan or ability to pay for emergency services. Visit Healthcare.gov or bluecrossnc.com to enroll online. If you are close to it, stop by Blue Cross NC’s Charlotte Center located in Promenade on Providence at 5349 Ballantyne Commons Parkway, Charlotte, NC 28277 (behind Home Depot). Employees are on-site to help you enroll. Talk with your health insurance agent. What is the Individual Health Insurance Marketplace? The marketplace is an online resource where you can shop for, compare, and enroll in or update a health insurance plan. You can also see if you're eligible for savings. What is open enrollment for the Individual Health Insurance Marketplace? "Open enrollment" is a federally mandated period of time when you can enroll in or make changes to a health plan. For 2019 plans, open enrollment begins November 1, 2018 and ends December 15, 2018. Why do I need to change or review my plan? Changes are often made to plans available on the health insurance marketplace. These changes may affect which providers, hospitals and other health services are included in a plan's network, as well as the costs you will be responsible for paying. To have the lowest out-of-pocket cost for care from Atrium Health (formerly Carolinas HealthCare System), consider selecting Blue Local with Atrium Health. A "network" is a group of doctors and hospitals that participate in a health insurance plan. Usually, your out-of-pocket costs are lower if you seek care from doctors and hospitals that belong to your health insurance plan's network. Most health insurance plans have networks of doctors, hospitals, pharmacies and other healthcare providers. Depending on the type of health coverage you choose, your care may only be covered if you go to a provider who is in-network. If staying with your current doctors is important to you, be sure to check if they are included before making a decision. Health insurance helps you pay for your care. It's impossible to predict what your medical bills will be each year; having coverage gives you the peace of mind that you are protected from very high medical expenses. Studies show that people with health insurance are much more likely than those without it to use preventive health services and necessary prescription drugs. They are also less likely to incur medical debts. Out-of-pocket costs are your total expenses for medical care that are not paid by your health insurance plan.